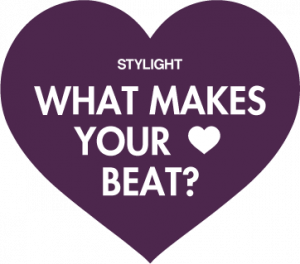 Recently I stumbled upon a new ‘so called’ fashion community, Stylight. Not knowing what kind of company they were, and what exactly they were providing, I started doing my research. What I found out? Stylight is a German fashion community from origin, and now they are slowly taking over Europe with their platform, as they are saying themselves. It accumulates a wide range of fashion items of webshops on their platform, and it gives you the possibility to share your wishlists, and items you love (or heart in their language). You can also compare the prices of the webshops of that one item you’ve been loving, and shows you the best deal you can get on the Net. Sounds amazing right? To me it reminds me of the fashiolista platform, but then different. Here you can also “find” things, and “heart” it. Their point of difference that jumps out is that they redirect you to the seller, and it shows the price. For me that’s a huge plus, as it just makes my life so much easier. I don’t have to spit through blogs, and webpages to find that one item that, that person “loved”. Now it’s just there, and with a few clicks you are where you want to be. Just as simple as that ;-). I have spend some time on Stylight, and have to say it’s quite addicting. Just killing time looking on other peoples’ lists, and it’s also a way to find great items you might’ve never found by yourself. Interested? The platform is available in a few European countries such as the Netherlands, Swiss, France, Germany, and a few more – apologies for my non-European readers! Joining them is just as easy as the rest, either through Facebook, or a simple mail address account. If you’re interested in following me, and to see what bits I’m liking, you can do so here. What do you think about Stylight?